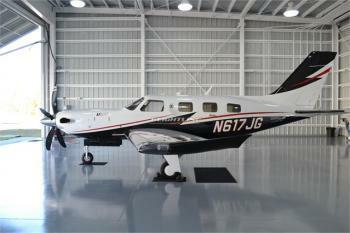 Immaculate airplane - professionally flown, managed, and detailed! Annual Inspection due August 2019, All SBs Current, Upgraded G3000 software. 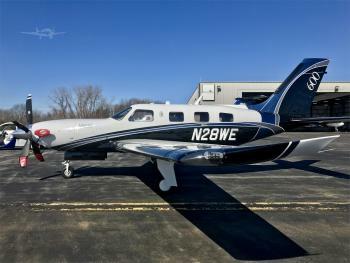 You don't want to miss this beautiful and nearly new Piper M600! Airframe: Total Time152 Engines: Engine(s)Pratt & Whitney Canada PT6A-42A 600 Shaft Horsepower Props: Prop SpecsHartzell 5 blade Composite Propeller......more. New on Brokerage, Beautiful Inside and Out! 89.7 TTSNEW, FIKI, Hartzell 5-Bladed Prop, Synthetic Vision, TAWS-B - Loaded and ready to go! Airframe: 89.7 Hours Since New Engines: 89.7 Hours Since New Props: 89.7 Hours Since New Hartzell 5-Bladed Composite Prop......more. Available Now - 2018 Piper M600, Demo Time Only, Stunning Inside and Out, EXP Package, Hartzell 5-Bladed Prop, Fully Loaded Airframe: Demo Time Only Engine(s): Demo Time Only Prop Specs: Hartzell 5-Bladed Prop - Demo Time Only......more. 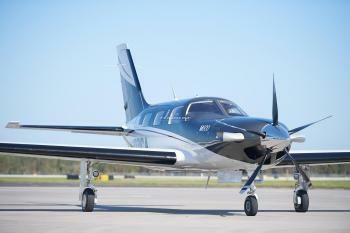 Meet the M600 – Piper’s most innovative aircraft to date. Building upon the Meridian’s remarkable heritage, the flagship M600 features a completely redesigned wing along with several other structural enhancements, from spinner to tail. The impressive touchscreen-controlled Garmin G3000 takes center stage in the cockpit while a luxurious new cabin awaits your passengers. Best of all, the M600......more.